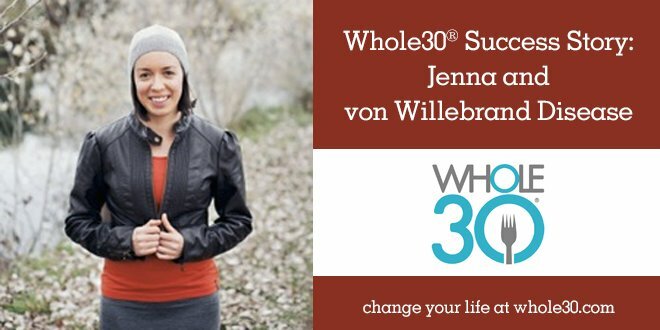 While so much of the mainstream media coverage of the Whole30 is focused on the weight loss benefits of the program, stories like this are what the Whole30 is really about. 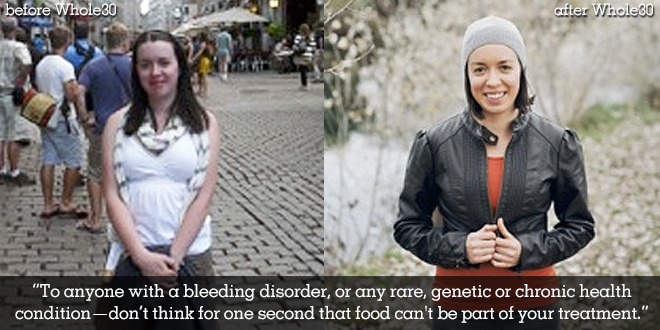 Jenna has an inherited bleeding disorder which tremendously impacted her quality of life. Thanks to the Whole30, her life is forever changed. Tell us more about Von Willebrand’s Disease (VWD) and how it impacts you. VWD is an inherited bleeding disorder where the body doesn’t produce enough (or in some cases produces faulty) von Willebrand’s factor, an essential blood protein for clotting. In a practical sense, this means I bleed, bruise and injure easily, and those injuries take longer to heal than a person with normal factor levels. VWD is considered a rare condition, though it’s the most common of all inherited bleeding disorders—even more common than haemophilia. For patients with VWD, the most common types of bleeds are those in the mucous membranes—the nasal passages, sinus, digestive tract, and (in women) the uterus. The most common of my injuries are definitely minor cuts, scrapes, and bruises. I used to regularly find a new bruise somewhere on me that I couldn’t attribute to an event, and they’d come with a mix of symptoms: sometimes painful, sometimes swollen, and in the full rainbow of colours. The most severe of my bleeds (and associated symptoms) have always been my periods. Pick an extreme that could be associated with a woman’s cycle, and I’ve lived it since menarche—long, heavy flow, either months between periods or as little as a week, pain so bad I’ve lost consciousness, iron deficient anaemia, and the worst mood swings you could imagine. 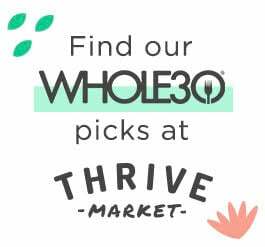 What made you decide to do the Whole30? In early 2013 I did a 60-day challenge with my local Barre studio. The studio owner had a list of recommended reads for us, and It Starts with Food was on the list. It was the most fortuitous timing that only a few weeks after the challenge, Jamie Scott and Dr. Anastasia Boulais of Whole9 South Pacific were coming to my city to run a seminar! Even though I’d read the book intently (and twice!) prior to the event, WOW! My mind was blown more times in a day than I thought was possible! Meeting both Jamie and Anastasia was great. They’re both such wonderful educators, and the chance in the break to chat with Dr. Boulais about my condition was invaluable (and the reason you’re all reading this). What physical changes have you experienced? 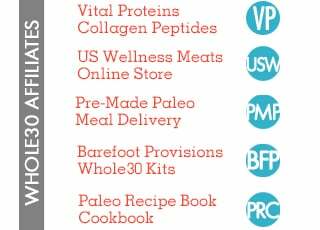 What have you learned from the Whole30? Similar to nearly everyone else reporting Whole30 success, I’ve lost weight and bloating from everywhere, I have more energy, my workouts are stronger and better fueled, I sleep well (not that I needed any encouragement in that area before! ), my skin is always clear, my digestion is regular and healthy, my mood is more stable, and my immune system is strengthened beyond belief. The things that most people wouldn’t have encountered, however, is the difference eating this way makes to my management of VWD. I honestly wasn’t expecting any of this. My condition is genetic and incurable, so these kinds of changes are amazing! Now, I more or less don’t spontaneously bruise or injure anymore, I don’t get lower digestive tract bleeds, my joints and muscles are strong and healthy, and while the amount of blood I loose during a menstrual bleed can’t be controlled by food, my mood, pain, and iron deficient tendencies have all significantly improved. Every time I tell people about the changes I’ve made it floors me while I’m speaking or writing! Prior to my Whole30 and Barre challenge, I never even imagined this as a thing in the realm of reality. I look in wonder every class at my tiny and strong wrists that can support me in pushups and downward dog. I feel like a warrior when I go hiking with my partner in Tasmania’s rugged terrain and I can keep up with him. I feel so proud of myself at every meal for learning all of these things and supporting my health in a way which is deceptively simple and easy to do. What other lifestyle changes you have made and how did it affect your condition? Exercise has been a huge part of the changes I’ve seen in my body and mind. If you hadn’t picked up on it already, I love Barre classes—they’re perfect for someone like me who can’t manage high impact moves and who needs to strengthen their joints and muscles. Pointing me in the direction of Whole9 and the Whole30 was the icing on the cake! (No, not really, icing and cake are full of refined sugars and flours.) I also bike ride, practice yoga, hike, and I’ve recently started indoor rock climbing, because now my limbs and joints can handle it! Around the time of the Whole9 South Pacific seminar, I also started seeing a doctor of Traditional Chinese Medicine. The eastern medical perspective is so very different from what we are used to in the west, but has some elements us Whole9 fans will recognize—an emphasis on food and herbs as your medicine, looking at the whole person rather than just an isolated symptom, and understanding the importance of mindset and mood on health. My TCM doctor recommends an eating plan which is the same as a Whole30, so they fit together perfectly! I’ve also started a meditation practice. Stillness and calm was greatly missing in my modern life, and I can’t believe I waited so long to start! I’m so glad I meditate, it works so well with food in managing mood swings, and it’s proven the key to eliminating my previously wild PMS symptoms and menstrual pain. How is life different for you after your Whole30? Are there things you still struggle with? Oh yes! It’s part of being human to struggle with things! I have to be mindful of my sweet foods intake, I have such a sweet tooth. (I include some paleo-fied treats now.). Eating out or at other people’s homes is hard. I also have to be a bit mindful to not come across as that ‘smug paleo chick’ when talking to other people, given my amazing success. But overall, I feel so much more resilient. 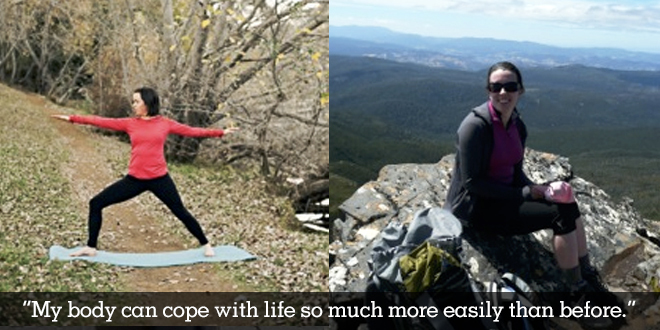 Definitely physically—my body can cope with life so much more easily than before. Being fueled correctly is so important, physically and mentally! Food-based mood problems are gone, and no more 3 p.m. munchies attacks. I don’t get upset, angry or irrational at my partner when I have a period. I also know that I fuel my body in the correct way for its particular genetic quirks. How do you communicate these changes to your doctors/specialists? What is their usual reaction? This is something I’m still working out how to do! This kind of treatment isn’t really talked about at all in the bleeding disorder community, so I’ve been a little wary about just launching straight into it with my doctors. I have definitely mentioned things when they’ve come up though—I’ve told my GYN about how there are definite food triggers for period pain (refined anything sets off my pain almost immediately), and I’ve mentioned to my GP the benefits of food changes for managing my VWD and she’s been really supportive. I’m yet to talk to my haematologist about it. My TCM doctor, as I mentioned above, is already incredibly supportive of this way of eating. I think with my doctors it’s going to be a slow introduction to these changes. I will keep sharing where it feels appropriate, and keep doing what I know is right. The struggle with getting this message to the medical community is part of the reason I started blogging. That way, I can directly talk to other bleeders or people with genetic conditions to show them that food can make a remarkable difference. To anyone with a bleeding disorder, or any rare, genetic or chronic health condition—don’t think for one second longer that food can’t be part of your treatment.  Even if all I’d gotten out of it were the similar benefits to what a lot of people experience, by default, I’d be experiencing less bleeds—with stronger, better fuelled limbs and a boosted immune system resulting in fewer or no illnesses, I’m cutting out bruises, injuries, and throat and nose bleeds. All that by itself is pretty amazing! And to anyone looking to undertake this kind of life-changing overhaul of the way they eat – it’s tricky at first, but I promise when you’re through the Whole30 and “riding your own bike,” the whole world changes. You can do it, and your health needs you to. Connect with Jenna at her blog, http://mymissingfactor.com.